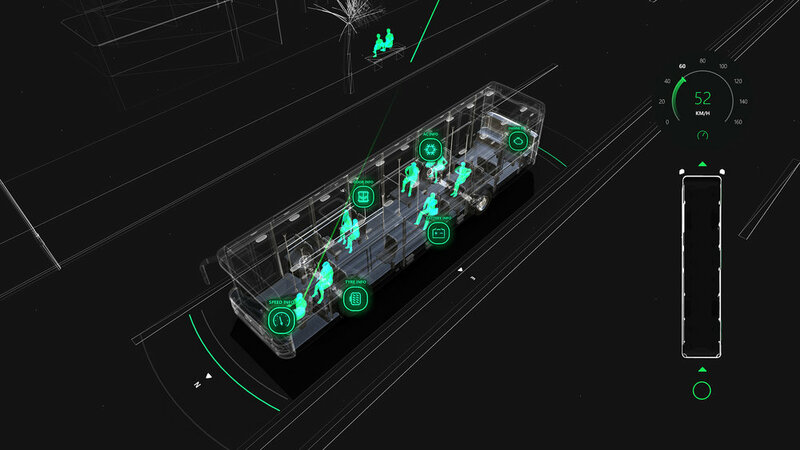 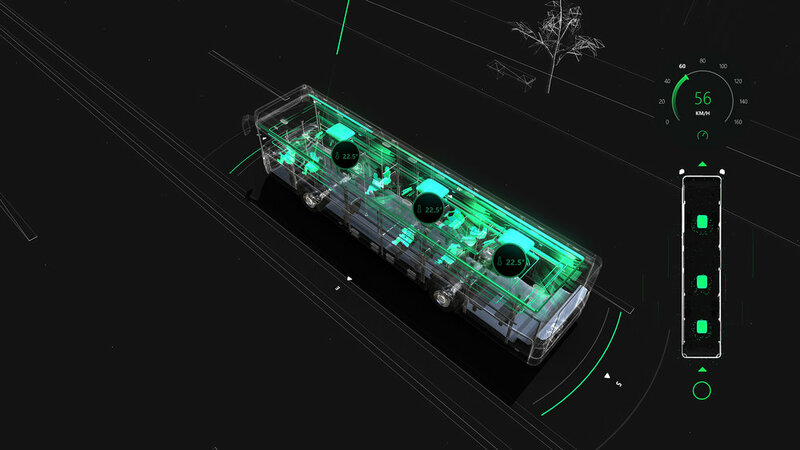 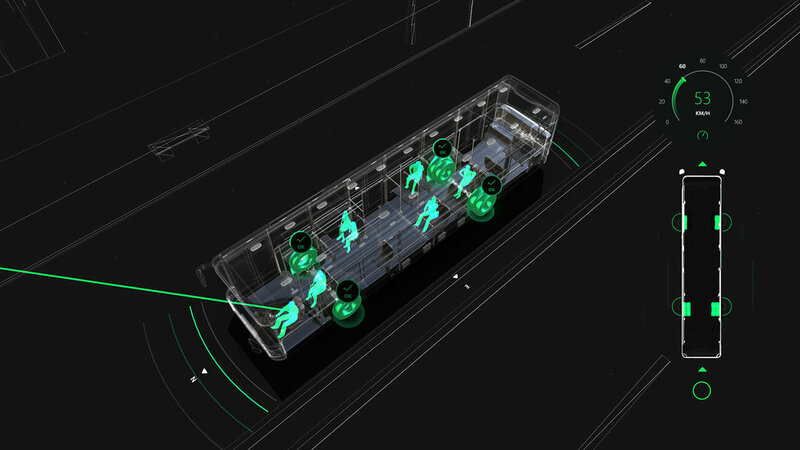 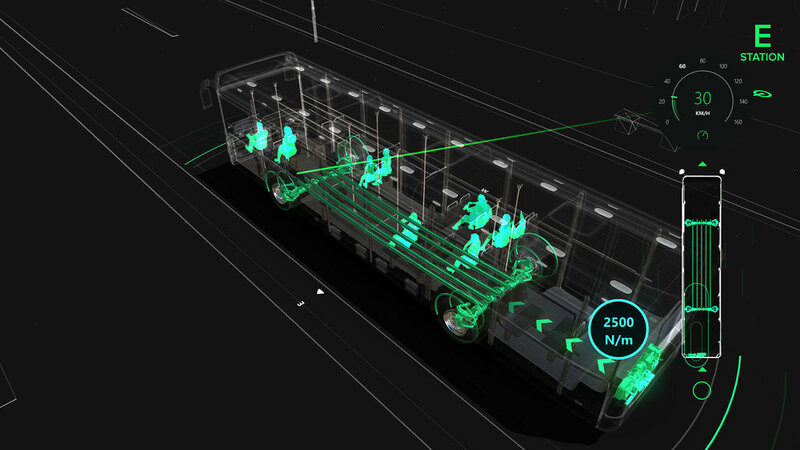 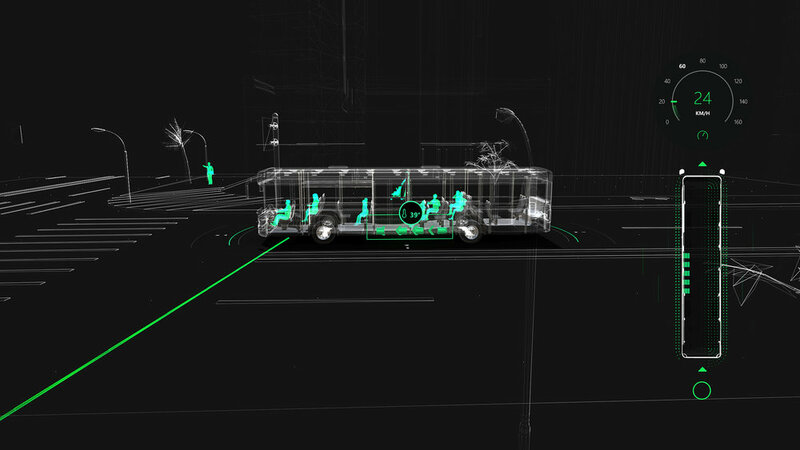 GPS Bus Visualisation is my futuristic way to present boring information playfully. 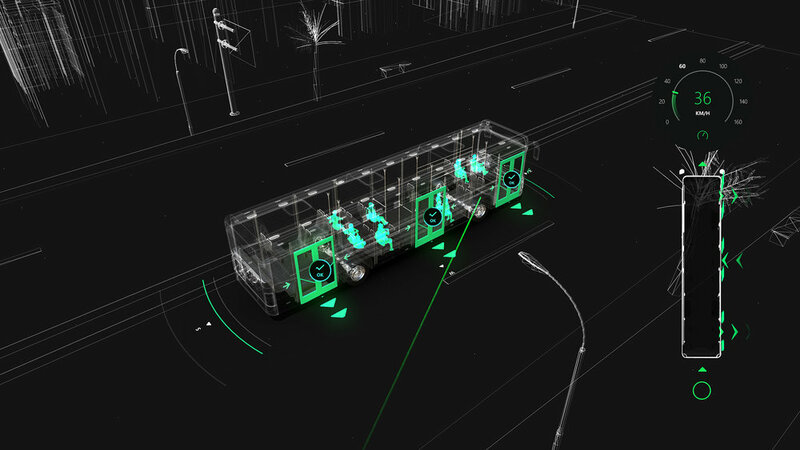 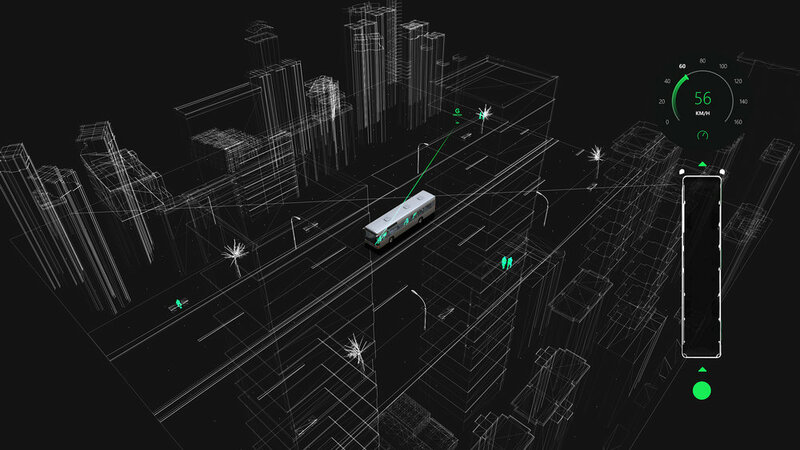 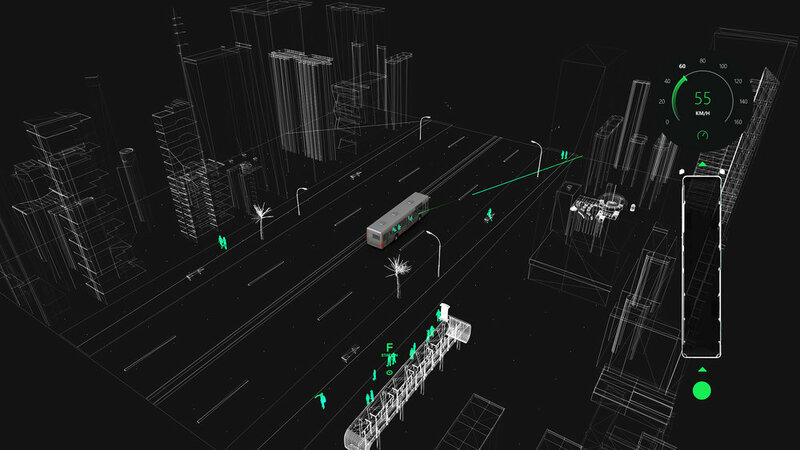 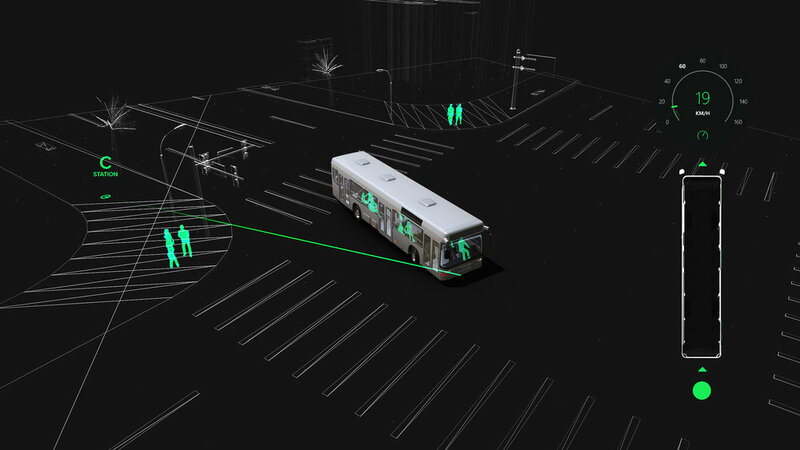 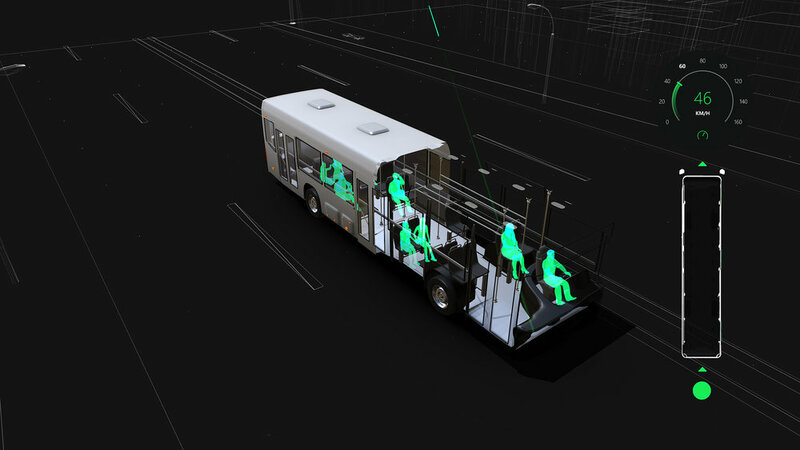 In this example, you see how the Vehicle is driving through the scanned wireframe city based on real geodata. 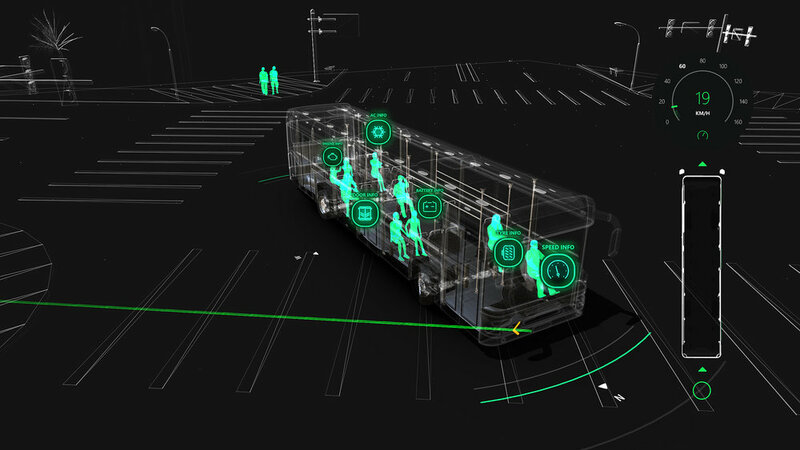 You as an operator can always track the vehicle and see what is happening inside or outside the machine. 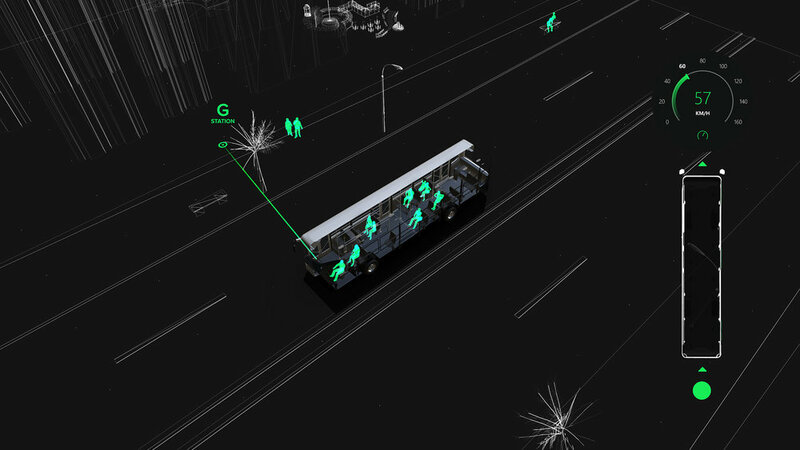 The Operator has full control over critical information.